Our team consists of top-notch professionals from a variety of backgrounds and industries. Members of the OptimalThinking.com team have started successful businesses, run mid-size and Fortune 500 organizations, and participated on numerous boards. They have led organizational turnarounds, business transformations and thousands of employees. Team members share a relentless pursuit of personal and professional optimization. We are committed to empowering individuals and organizations to be their best. We optimize – not just manage or improve – leadership development, team and organizational performance. organizational optimization” and “the successor to positive thinking”. As a leading authority in personal and business optimization, Rosalene has provided coaching, training, and consulting for numerous organizations including Johnson & Johnson, BP, U.S. Army, Warner Bros., Young Presidents’ Organization, California State University, Fullerton (School of Business Administration), UCLA, Mensa, National Australia Bank, Internal Revenue Service, The Australian Institute of Management, Red Bull, Delta Airlines, and Air New Zealand. She has delivered over 2500 presentations to corporations, associations, colleges, and business groups. 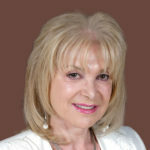 Rosalene is the President of OptimalThinking.com, a division of The World Academy of Personal Development Inc., based in Marina Del Rey, Los Angeles. Rosalene served as the Director of Professional Development for The American Society for Training & Development in Los Angeles and is a distinguished expert witness in cognitive analysis and leadership optimization. This Optimal Thinking woman has been nominated for special recognition by Queen Elizabeth II for Australia’s highest award, The Order of Australia. She is also the recipient of the “Woman of the Year” award for National Business Women’s Week in Hollywood. Rosalene has been featured on Bloomberg TV, Fox News Channel, CBS Weekend Magazine, New York Times, Association Management Magazine, Government Executive Magazine, Inc Magazine, Business Review Weekly, Australian Business Magazine, The Australian, Personal Success Magazine, Successful Selling and Managing Magazine, L.A. Weekly, Forbes Magazine, USA Today, and the list goes on. Rosalene, who was born in Australia, lives in Los Angeles. She has earned a Ph.D. in Psychology, a Teaching diploma and a degree in Business Administration. Richard Guha, former President of Reliant Energy, a Fortune 100 company, has led Fortune 100 and Fortune 500 companies and their international equivalents, as top management, board member, and consultant for over 30 years. Richard worked as a Division Head at Mars, Inc, and CMO at US West and BMC Software. He created the consumer “broadband” market while at US West/Comcast, and built the most profitable retail energy business at Reliant Energy. He has advised numerous Pharmaceutical companies (Pfizer, BMS, Bayer, SKB, Boehringer-Ingelheim, and Novartis), device companies (BMS, Beiersdorf), health care providers (St. Luke’s Hospital, Cedars Sinai, Columbia Health), and health insurance companies (Wellpoint, Emblem Health). Richard initiates, leads, and optimizes change via market orientation and business models to achieve optimum results. He creates new paradigms, aligns the market structure, and maximizes revenue and profit growth. When Richard grows and leads organizations, he employs a clear definition of tasks and responsibilities, market-facing structure and communications. Richard has advised the top management of many Global 2000 companies. He has served on the board of eight highly successful companies, and four start-ups. Richard graduated from Cambridge University with a Bachelors degree in Chemistry, Physics, and Mathematics. He became the youngest person to earn a Masters degree from Cambridge in Chemical Engineering. Gordon L. Patzer, Ph.D. is currently dean of the Walter E. Heller College of Business Administration at Roosevelt University in Chicago, and tenured professor. Earlier, California State University awarded him lifetime designation as Professor Emeritus. After earning his Ph.D., Gordon held executive-level positions in strategy for consumer / audience behavior in the prime time programming division of CBS Television Network and the movie industry division of Saatchi & Saatchi. As an entrepreneur, he started two small businesses—a talent booking agency and an employment agency. Gordon is respected and recognized internationally for his expertise in the psychology and sociology of physical attractiveness. Hundreds of researchers and scholars formally cite his published analyses and perspectives, and scores of writers for popular mass media have published interview quotes. Gordon has published five books and 25 research articles. His most recent book, The Power and Paradox of Physical Attractiveness (2006) is published by BrownWalker. Rich has successfully handled litigation and transactional matters for clients in numerous industries. He served as the General Counsel at MGA Entertainment, Inc., an international consumer products company and Assistant General Counsel for the The Ryland Group, Inc., both multi-billion organizations. Rich has deep understanding of intellectual property, real estate acquisitions, strategic planning, contract drafting and negotiation, regulatory compliance and reporting, labor & employment, and international litigation. He helps clients to minimize legal costs through effective budgeting and optimum business planning. Rich received his J.D. from Southwestern University School of Law, where he was on law review and earned Dean’s List Honors. He obtained his M.B.A. with an emphasis in Corporate Finance from the University of Southern California’s Marshall School of Business, where he was on the Dean’s List, and holds a B.A. in Finance from Michigan State University. He is licensed to practice in California and is a member of the New York, Connecticut, Florida and the District of Columbia Bars. Edward C. Lai is a registered Professional Engineer who helps organizations optimize their operations and business competitiveness through Lean Six Sigma Optimization (LSSO) processes and design of products and services. Ed is also a certified Six Sigma black belt. 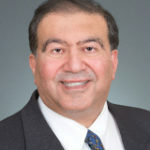 He has developed and successfully implemented numerous programs for process re-engineering and continuous optimization, utilizing tools such as Just-in-time/Continuous Flow operations, Cycle Time Optimization, Statistical Process Control, Design of Experiments, Quality Function Deployment, Work Cells, Integrated Product Development, Design for Manufacturing and Assembly, and Design to Cost. Ed has developed and conducted more than 80 seminars and workshops on these subjects. He has also directed, facilitated and optimized over 350 projects in product and process improvement, covering functions that involve manufacturing, design engineering, supply chain and business operations. He has achieved cycle time reduction from 40 to 90%, product quality improvements from 30 to 50% and cost reduction from 20 to 60% for organizations such as for General Motors Corporation, Delco Electronics Corporation, Hughes Aircraft Company, Raytheon Systems Company, Golden West Homes, and City of Rancho Palos Verdes. Ed also has broad experience in work measurement, manufacturing flow analysis, methods analysis and work place design, facilities layout, material handling, computer simulation, strategic planning, packaging engineering and Electrostatic Discharge (ESD) Control. For more than 30 years, his extensive experience spans industries in both the defense and commercial sectors. He is currently transferring his knowledge and working with clients in the public sector. Ed received his B.S. Honors and M.S. in Industrial Engineering from the University of Wisconsin, Madison. He is an award-winning author with papers presented and published at international symposiums. Susan Barrera is an industrial relations, human resource and organizational development optimization expert with over 30 years experience at senior executive level. She has worked in a variety of industries in Australia, in both government and the private sector. As Managing Director of Nexus Strategic Solution, a consulting company, she assisted organizations to optimize employment practices, employee morale and productivity. Her ability to find practical solutions to labor and personnel challenges, as well as her knowledge of the Australian industrial relations legal framework, have proven to be invaluable for existing and start up companies, and educational institutions. Susan has had a distinguished carrier in Australian government, culminating as the Director General of the Department for Communities in Western Australia, where she built partnerships and developed innovative ways to best deliver services to a diverse client base. Her experience and knowledge of government policies and practices enables small and large companies to cut through government red tape and best achieve their goals. 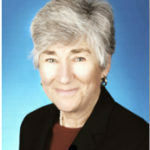 Previously, Susan excelled in her roles as the Executive Director for Labor Relations at the Department of Consumer and Employment Protection, and held senior positions in Departments of Productivity and Labor Relations, Prison’s and the Public Service Commission in Western Australia. Susan was the Australian President of the Industrial Relations Society in 2002-2003. She has been an invited speaker at national and international industrial relations conferences, and is the author of a number of articles on topics relating to organizational optimization and productivity. She has earned a B.Sc in Physics (Honors) from the University of New South Wales, a B.Ed from Melbourne University, and an MBA from the University of Western Australia. Susan is currently teaching in the management program at Murdoch University. Brian Bertaux is a senior business executive who has worked for private and public companies ranging from $20 million to $2 billion in annual revenue. He has extensive knowledge and experience in Treasury, Investor Relations and Strategic Planning. Mr. Bertaux has held positions of increasing responsibility over the past 25 years in the publishing, utilities, and branded consumer goods manufacturing industries. He has managed numerous debt financings through commercial and investment banking structures ranging from $25 million to $250 million in size. 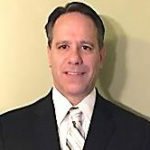 Mr. Bertaux has proven experience in moving businesses forward by developing and communicating results oriented business plans and strategies. Mr. Bertaux is adept at interpreting and discussing complex financial matters to all levels of the organization and making recommendations for funding initiatives, generating cash flow, optimizing liquidity and shareholder wealth. such as Blimpie, Ponderosa, Wall Street Deli, Sizzler and Piccadilly. Mr. Sandeman has access to a national network of restaurant executives in marketing research, purchasing and operations, and nationally known professionals in banking, investment banking, merger and acquisitions, real estate, and franchising. Mr. Sandeman has served as Chairman of the CFO’s Forum of the National Restaurant Association. Mr. Sandeman has written over thirty corporate business plans for start-ups, middle market and Fortune 50 companies; seven acquisition presentations resulting in increased revenues exceeding $100 million; three corporate sale presentations including the sale of a 1600 location international franchiser; an initial public offering (IPO); Board of Directors presentations and SEC filings resulting in $450 million of debt and equity capital; 300 proformas and proposals covering over $200 million of capital expenditures and new product introductions. Mr. Sandeman has also written or edited over 100 courses in finance, accounting, the stock market, Sarbanes Oxley, and insurance. He has also authored two online books on financial analysis, prepared speeches and presentations for over thirty security analyst presentations and over twenty Uniform Franchise Offering Circulars. corporate financing transactions, government grant and loan applications and capital authorization requests. Mr. Loftus has led annual financial budgeting processes to drive financial performance and budgets. He is a skilled financial analyst and financial accountant. Mr. Loftus has extensive experience negotiating purchase and sale agreements and long term supply agreements with private companies, debt and equity financing agreements with commercial bankers, investment bankers and government agencies. He maintains long-standing relationships with commercial bankers active in the transportation sector. Mr. Loftus is proficient in corporate valuations, operations planning, obtaining grant and loan funding and organization design for finance and accounting. He has served as the Chief Financial Officer of two companies and Senior Vice President, Finance / Treasurer of Genesee & Wyoming Inc., a mid-size company listed on the New York Stock Exchange. He has worked in China, India, Indonesia, Kenya, Mongolia, Mozambique, Philippines and Uganda. Mr. Loftus has a Bachelor of Arts from the University of Virginia and a Master of Business Administration from the University of Pittsburgh. 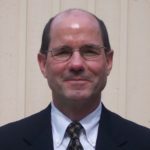 James (Jim) Metzger is a former “Big 4” financial executive with over 25 years of experience as a business partner to the executive team, Board of Directors, and investors. For over a decade, he has served as a CFO/COO in private equity and turnaround situations. Jim identifies and leverages key drivers of business and financial performance in start-up, turnaround, and high-growth organizations. He is also an expert in managing non-financial operational functions including Human Resources, Information Technology, Legal, Risk Management, Performance Improvement, Marketing, and Sales Administration. 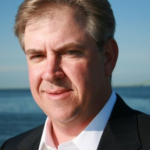 Jim has served as the CFO and/or SVP, Business Operations (COO) in the portfolio companies of private equity firms such as H.I.G. Capital, The Gores Group, and Patriarch Partners. He specializes in technology, healthcare, financial services, professional services, and non-profit sectors, both domestically and internationally. He has completed engagements at Fortune 500 companies such as AIG, Citibank, Morgan Stanley, American Express, Fleet Bank (now Bank of America). Jim graduated from Baldwin-Wallace College in Berea, OH with a B.S. in Mathematics and History Education. He earned a Professional Certificate in Accounting from New York University and completed an Advanced Management Program for CFOs through the Wharton School of Business. He also holds an MBA in finance and international business that was jointly conferred by the NYU-Stern School of Business, London School of Economics, and HEC School of Management in Paris. companies in a wide range of industries. From 2005 to 2011, Mr. Low served as CFO of SunGard Energy Systems, a $100M+ global software company. Mr. Low has authored two books covering the essentials of financial management for non-financial managers including Accounting and Finance for Small Business Made Easy (Entrepreneur Press). He was also co-inventor of Cashé, a software program for doing financial projections and valuation. He holds a BA from Rice University and a Master’s from the MIT Sloan School of Management. 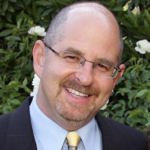 Mike Golde is an entrepreneur, C-Suite executive, and independent board member with a background in finance and operations. He has practiced public accounting and served as Controller, CFO, COO, Managing Director and President for over 25 years. He has accumulated strengths in Strategic Planning, Mergers & Acquisitions, Debt & Equity Financing, and Finance & Operations and has led rapidly-growing companies in both domestic and global markets, including New England Animal Health, Abest Power & Gas, Corporate Resource Services, Canrock Ventures, Integra Realty Resources, Wimba (now Blackboard Collaborate), Accretive Solutions, and Randstad North America. Mike has also developed expertise in change management, due mainly to the nature of the companies with which he has worked. 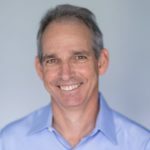 Having dealt with investors including venture capitalists, private equity firms and individual owners, Mike has proven his ability to work with firms from start-up to billion-dollar enterprises. He has written many business plans. 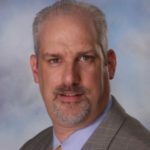 Mr. Golde earned a BBA and an MBA from Pace University, is a CPA and is the coveted winner of the “CFO of the Year” award from the Long Island Business News.